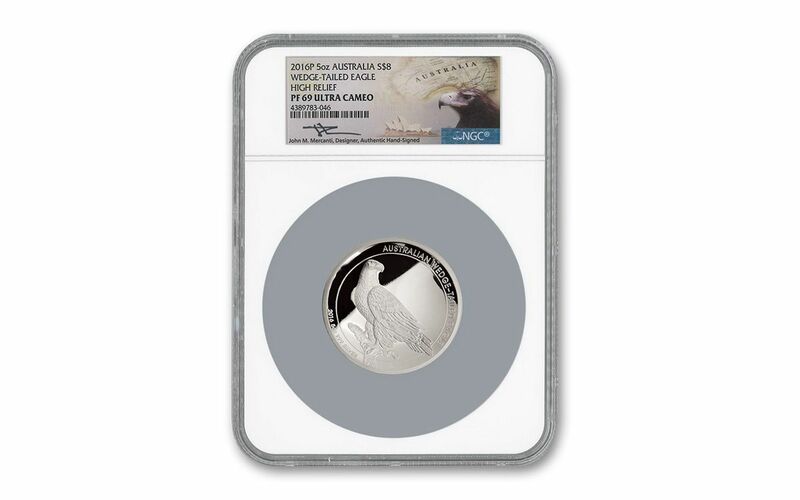 The U.S. Mint has been striking Silver Eagles ever since 1986. The reverse of that coin was designed by John Mercanti, the 12th Chief Engraver at the U.S. Mint. 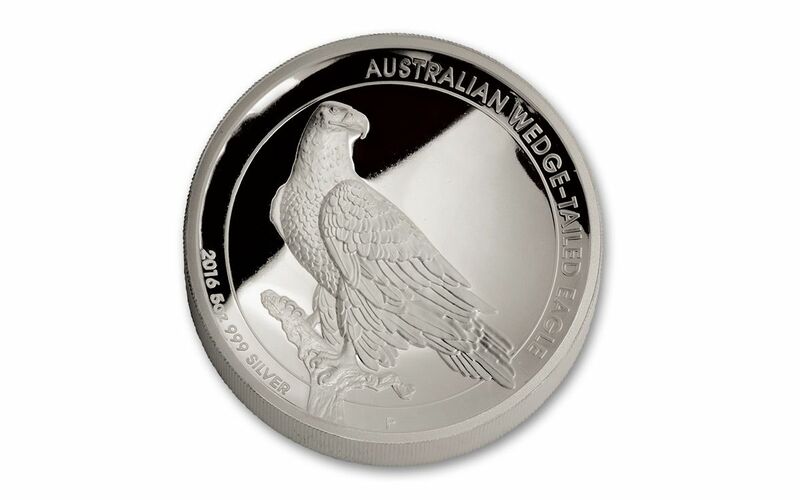 Now, Australia is striking its own Silver Eagle, also designed by John Mercanti. This is the first time in coinage history that a U.S. Mint Chief Engraver has designed a coin for another world mint, and it's been a runaway sensation among collectors worldwide! 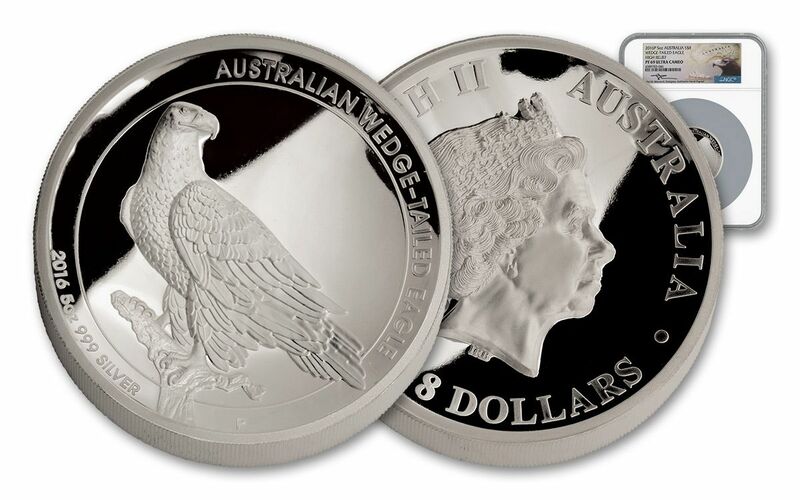 The 2016 Five-Ounce Australian Eagle High Relief Proof is struck in 99.9% Silver and features a wedge-tailed eagle, overlooking its domain from a high perch on a tree branch. You'll agree, it's a spectacular, lively design. 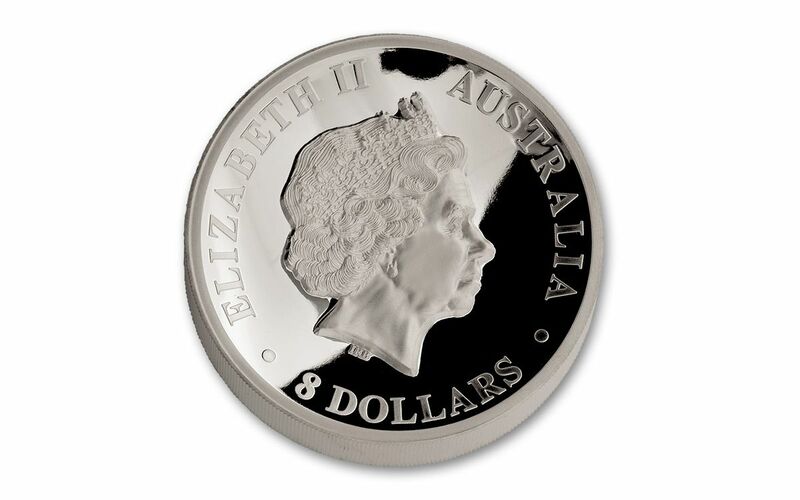 Each Australian Silver Eagle is struck to a dazzling Proof condition, and shows Her Majesty, Queen Elizabeth II on the obverse. In addition, the proof's five-ounce weight and 99.9% silver purity are struck into the coin's surface, right below the eagle. We welcome this important striking into the family of Silver Eagles, and you'll heartily welcome it into your collection. But you need to hurry; only 5,000 were minted, and this small number could be gobbled up by our customers fast. Each has a grade of Proof-69 Ultra Cameo (PF69 UC) by Numismatic Guaranty Corporation (NGC) and has Mr. Mercanti's hand-signed autograph on the label sealed in the holder. Call now for yours!